One of the most recognized film festivals worldwide, Cannes Film Festival announced its official selection list for this year Thursday, including two Korean films. Director Lee Chang-dong’s “Burning” has been invited to the festival’s main competition category, going up against 17 other films. The film features Yoo Ah-in and Hollywood actor Steven Yeun as the main leads. The thriller, an adaptation of Japanese writer Haruki Murakami’s short story “Barn Burning,” revolves around two young men and a woman dealing with a mysterious incident. It is set for release in May. “Burning” is Lee’s fifth film to be screened at Cannes, and the third to compete. He won the best screenplay award at Cannes for “Poetry” in 2010. In 2007, Jeon Do-yeon won the best actress award for Lee‘s “Secret Sunshine.” Lee has also served as jury member and has headed the Cannes Critics’ Week. This marks the third consecutive year in which Korean films have been selected for competition at Cannes. Park Chan-wook’s “The Handmaiden” and “Okja” by Bong Joon-ho were shown at the prestigious film festival’s competition category in 2016 and 2017, respectively. 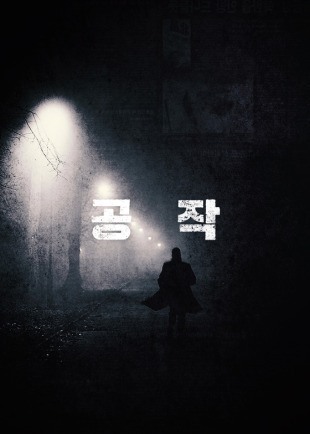 “The Spy Gone North,” from filmmaker Yoon Jong-bin, is to be screened in the noncompetitive Midnight Screening section. The section features horror, action and other genre films. The plot, inspired by a true story, follows a South Korean spy who infiltrates the North to obtain intelligence on its nuclear weapons program in the 1990s. Featuring Hwang Jung-min, Lee Sung-min, Jo Jin-woong and Joo Ji-hoon, the film will hit local theaters this summer. This is director Yoon’s second time to be invited to Cannes, following “The Unforgiven” in 2006. The 71st Cannes Film Festival will be held from May 8 to 19 in the southern coastal city of Cannes in France.